During my audit days in Arthur Andersen I had a privilege to lead audit engagements in a few subsidiaries of international holdings and groups. For me, it was very interesting and educative. First of all I learned that the local management of these subsidiaries is often just a formal function and the real decisions are taken somewhere else. This was exactly the case with the local subsidiary of a multinational group selling and servicing some equipment. The local company was quite small and as we auditors like to say – its size represented a rounding error within the group (meaning it was so small that any error or misstatement in its account would be immaterial for the group). That’s why I was very surprised to see the huge loan they took from the local bank. Why? Where did the cash go? Oh, I spotted it instantly – there was a big receivable towards the parent company. In other words, the parent company took the loan from our local bank via its subsidiary. I asked for the documentation related to the loan provided to the parent. So I asked – but what is this receivable all about? 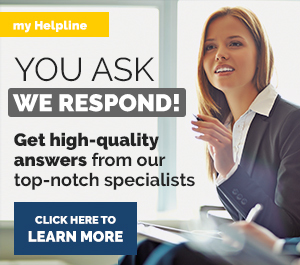 What is the repayment date and schedule? Does it carry any interest? How to present this loan in the financial statements (current or non-current?). The parent sends cash to subsidiary in order to cover the operating losses or to finance the operations or whatever. The subsidiary sends cash to the parent just because the local lending is cheaper that the lending in parent’s domestic country. Intercompany loans within the group are very frequent these days. But, they bring a lot of troubles and issues, especially if there’s no documentation (contract), no fixed repayment date or schedule and no interest. In today’s article, I would like to tackle a few questions related to intercompany loans. Issue n. 1: We have no loan documentation. This happens very often, especially between the parent and a subsidiary. The parent just sends the cash without a single word (OK, in reality, the parent’s people tell you what it is for, but it’s nothing formal). Did the subsidiary receive a loan? It can happen that the cash send from the parent to the subsidiary is not a loan at all. If the parent explained that it would demand the repayment of that cash in the future, then it’s a liability in subsidiary’s accounts. However, I had a different experience with one of my clients. The client’s local branch was always loss-making and the parent always sent big cash to cover the loss with no further explanation after the year-end. We knew why this happened. The subsidiary was loss making because of bad transfer pricing practices and the parent wanted to rectify the situation with cash transfers. In this case, the substance of this cash transfer might be a capital contribution and NOT a loan. Of course, this must be cross-checked with the local legislation, but in most cases, when the loan is NOT repayable at all, or repayable upon subsidiary’s decision, then it is NOT a loan, but capital. So, the parent would record the loan as an investment in subsidiary and a subsidiary as equity. Issue n. 2: The loan has no interest (or interest at below-market rate). Let’s say that you solved the issue n. 1 and said – no, it’s not equity, but it’s a loan. But, the loan is at very low (or zero) interest. Yes, that often happens within the group. The loan might not be provided on normal commercial terms. However, the standard IFRS 9 says that you should recognize a financial instrument initially at fair value. The fair value of this loan is simply future cash flows from that loan discounted to the present value with market interest rate. Now, that’s nice, but how would you treat the difference? Let’s say that the parent provided an interest-free loan of CU 100 000 to its subsidiary, the loan is repayable in 3 years and market interest rate is 5%. The fair value of this loan is CU 86 384 (it is CU 100 000 in 3 years discounted to present value with the market rate of 5%). There is a difference between the cash received of CU 100 000 and the fair value of the loan of CU 86 384 amounting to CU 13 616. 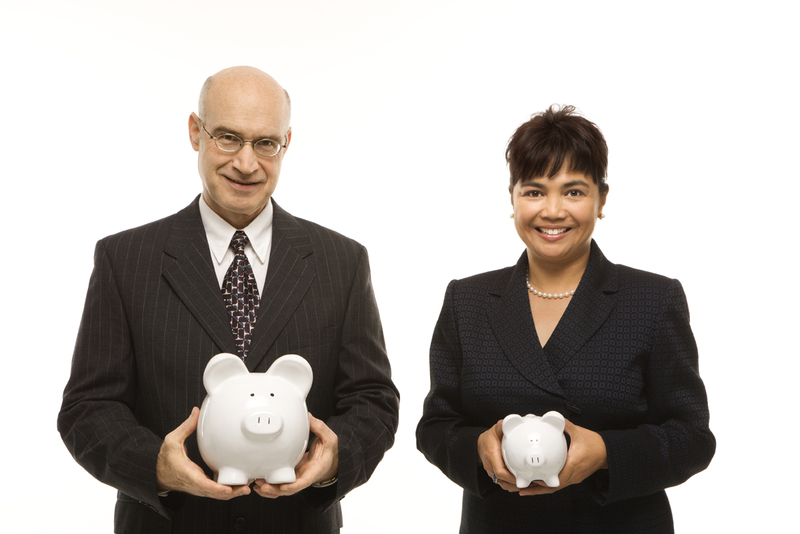 How should the subsidiary and the parent recognize this difference? Normally, when the companies are not within the same group, this difference is recognized in profit or loss (exceptions exist). However, this time, we are dealing with the capital contribution from a parent to the subsidiary, because interest-free loan would never happen without the related party relationship. If the loan is provided in the opposite direction (by subsidiary to parent), then analogically, the “below-market” component is recognized as a distribution from subsidiary. Issue n. 3: How shall we classify the intercompany loan and measure it subsequently? I received the same question a few times. How should you classify the intercompany loan if it bears no interest? The answer is – at amortized cost. The contractual cash flows arise solely from payments of principal and interest (here, interest payments can be zero and this condition is still met). If we look at the loan from the above example, then subsequently, you need to remeasure the loan at its amortized cost by charging an interest (assuming there’s no repayment in the first year). The trouble with all financial assets at amortized cost is that the parent needs to recognize an impairment loss. Under the newest IFRS 9 requirements, we need to apply general 3-stage model to all loans (no exception). It makes it quite complicated, because the parent now needs to calculate 12-month expected credit loss on the loan to subsidiary if it is in stage 1 (no deteriorated credit risk). And, it needs to estimate the probability of subsidiary’s default within the next 12 months. Issue n.4 : There is no fixed repayment date. This also happens very often. Either the loan is somehow documented in the contract, but the repayment date is missing, or there’s no documentation at all and you have no idea what the repayment date is. In this case, I would kindly advice to go through any available communication or documentation, like minutes from the board of directors. If it does not help, then the management of a subsidiary should express their best estimates and assessment of the loan repayment, in order to set the loan’s fair value and present it correctly. The best thing would be seeking guidance from the parent, of course. The management should mainly assess if the loan could be repayable on demand. Believe me, this is a very probable scenario and I’ve seen this in practice a lot – if the parent does not explicitly says about the repayment and it is NOT a capital contribution, then you have no choice but to see the loan as repayable on demand. It means that you would classify the loan as a current liability. The advantage of this approach is that you don’t have to discount anything (as the “loan” is short-term). On the other hand, the big disadvantage is that the financial rations like liquidity immediately worsen, because the current liabilities would rock to the sky. If the loan is repayable in a longer time with uncertain timing, then you should make the best estimate based on past practices within the group and set the loan’s fair value based on that based estimate. I have described the mechanics of accounting for below-market interest rates in this article, so please check that out if interested. Unfortunately, there is no specific IFRS guidance on how to treat intercompany loans, so we need to use what we have. I have tried to help a bit in this article, but I know very well that every single loan is different, provided at different circumstances and indeed, you should carefully assess every single aspect of it. Also, I would like to stress that as intercompany loans ARE an intragroup transaction with related parties, you will have to include the number of disclosures in line with IAS 24 to your financial statements. My question is related to impact of IFRS 9 on Financial Statements of subsidiaries. For example, two subsidiaries operate in two different countries, where IFRS 9 is required. Both subsidiaries build loss allowance for intercompany receivables. When preparing stand-alone financial statements, this loss allowance is shown normally. How should these loss allowances built by subsidiaries be consolidated – taken out on group level? Usually companies reconcile intercompany transactions, but loss allowance is not intercompany transaction… There I get confused, what else can be done? Should subsidiaries not report these loss allowances and therefore have different financial statement as stand-alone company, and as reported to “mother”/group. excellent questions. If they are subsidiaries, then all intragroup transactions are eliminated in full in consolidated financial statements – including the loss allowance, because from the view of external user outside the group, there is no loan and therefore there is no loan allowance. So yes, it can happen that the loss allowance is different in individual separate financial statements than in the consolidated ones. S.
Thank you very much Silvia. You are right, In our company’s case there is an inter company account (Both receivable & Payable) and every time we reconcile each other. When we prepare separate financial statement for a single company then we will show the inter company receivable & payable including the currency gain or loss due to revaluation, But finally when we prepare consolidated financial statement we eliminate all the inter company receivable & payable and there will not be any currency gain or loss. Even the inter company sales for subsidiary and purchase for the parent company will be eliminated. thank you for this valuable comment. Well, you are right and in fact, there could be some profit or loss on intragroup transactions even if they are eliminated – this is normal, because it is simply seen as a cost of conducting business in different currencies. I think I explained it a bit in this article. S.
This is great article! I have a related question, what if the separate company fully provide the allowance and write it off, does the related party in connection with this will then recognize it as income since it looks like the debt was condone? Dear Silvia, in the article, you advised that “if the loan is provided in the opposite direction (by subsidiary to parent), then analogically, the “below-market” component is recognized as a distribution from subsidiary” In that case, shall we debit the difference of CU 13,616 to profit or loss as interest costs in the books of the subsidary? Distribution from subsidiary means a dividend issue. Subsidiary will still take it to equity as a debit. Great article, Thank You very much. My question is on IFRS 9 & 17. The question is; how does the two IFRS affect the Big 4 auditing firms especially those that came into operation on 1st January 2018? Please email me the answer to my mail brianbenard436@yahoo.co.uk. Excellent Article! My further question is how to apply ECL calculation on intercompany balances / loans under IFRS 9? Hi Kay, well, exactly in the same way as on other loans. You should determine at which stage the loan is and then try to assess the 12-month ECL or lifetime ECL. I have a question related to housing loans given to employees. They are given bellow market interest rate and there are some former employees who still repays the loan under the same conditions as when they were employees. How should we correctly account for these loans? Thank you in advance. Hi Nina, maybe this article will help. S.
Excellent article. I have one question relating to the accounting treatment of interest cost unwinding in the books of subsidiary, when parent company has given loan to subsidiary for the purpose of constructing fixed asset at subsidiary level. During the construction period, whether the unwinding interest cost can be capitalized as there is nil real interest in this transaction? Hi Manoj, yes, you should capitalize the interest cost also on intragroup loans, but then you should be careful and eliminate it in consolidation. S.
Dear Silvia – This was an excellent article and extremely helpful to try to understand a dilemma we are facing due to an ongoing IFRS Convergence exercise. In our case, an interest-free loan has been given by a majority shareholder (65%) to a subsidiary with the other shareholder (35%) not giving any loans to the subsidiary. I understand this is a transaction between a parent and subsidiary (within the same jurisdiction), however, the essence is certainly not of capital nature and is a loan payable in future. Using your example and assuming the loan was given by a majority shareholder (65%), as per your advice above the difference of CU 13,616 between the commercial rate and the zero rate over the duration of the three-year loan is to be parked as an equity item in the books of the subsidiary. •	No distortion in the shareholding (65% majority shareholder) in equity of subsidiary. If this difference of CU 13,616 is parked in Equity of subsidiary, then the shareholding percentages risk being distorted as only one shareholder is introducing interest-free shareholder loans and the other shareholder is not. This would lead to a change in shareholding structure which is also against the legal shareholding as per Articles of Association. Therefore, with this thought process, I need your guidance to understand why to record the difference between commercial rate and the zero rate of the loan to the subsidiary as an equity item in books of the subsidiary as it risks distorting the shareholding %age, leads to upfront equity enhancement and distortion of the Income Statement with a non-cash notional interest expense due to EIR method (bottomline becomes skewed). At the end of the term of the three year loan, the entire amount of difference CU 13,616 would end up in equity anyhow as it would have been amortized completely into the income statement. Previously, before the adoption of IFRS such interest-free loans were commonplace in our jurisdiction and fully compliant with local GAAP. i.e. no EIR method was followed and the amount was recorded as a liability in books of the subsidiary at the full value. Sincerely appreciate your guidance on this matter. Powerful article. I feel really blessed to reading this. IAS&IRFS that relates Financial Instrument must be gathered so as combine shape may be captured; we are bundles of queries relating financial matters. Very nice article, only one short question, Issue n2. (no interest on loan). Journal entry in subsidiary books represents it is direct credit to equity.? If so, it will be shown as separate component of equity? or if it will be shown under Retained earnings then how to account for it. (Sorry in advance for such a basic question and thanks for your valuable articles). I have been reading your materials for a while and it has been really helpful. I am currently working on something like this and I need a little assistance. Can you please direct me to the aspect of the standard (preferably the old Financial Instrument standard because this is a transaction that happened last year when the old standard was still in use) that states that “when the loan is NOT repayable at all, or repayable upon subsidiary’s decision, then it is NOT a loan, but capital contribution”. I need it to back a report up. Very good article. I have a question that if the loan has no repayment term but is made between sister companies, and the loan is not repayable on demand and lets see we conclude that it is not repayable at all, how should it be accounted? As there is no parent/sub relation so equity contribution is out of the question now. I don’t see it as being out of the question – after all, their mutual parent could sell a stake in S1 to S2. Arguably, that is what is implicitly happening in the situation you describe, although it is probably not what Group Treasury intended, and if they realised the implication (including part disposal in the parent company’s own accounts) in advance, they would probably structure the transaction differently. For whether there is anything in IFRS that prevents that view, I defer to Silvia. the capital contribution in the cashflow statement is financing activity, or? Contribution to the reporting entity – yes. Contribution by the reporting entity – no, investing. The investment in subsidiary of 13 616 is treated in line with IAS 27 – mostly at cost, in the parent’s books. S.
Nothing, it remains as the investment in subsidiary. Hi Silvia,do we also eliminate this investment in Subsidiary on consolidation?. Yes, of course, this is a basic elimination entry. Please see the example here. it depends on the specific numbers/dates, but in general – the parent accounts for an interest income from the intercompany loan as Debit Loan Receivable/Credit P/L Interest income (by market rate). Thus, the loan receivable at the repayment date is for sure higher than the loan receivable at initial recognition. In most cases, the earlier repayment of loan is accounted for as Debit Cash/Credit Loan receivable, and then you should compare the amount of loan receivable outstanding in your books with the discounted expected cash flows (difference is P/L). Dear Silvia. thanks a lot for this article. Please clarify one thing, in case the financial liability becomes repayable on demand and hence I agree that it should be classified as short-term, why should it not be recognized initially at FV and then amortized as IFRS 9 (previously IAS 39) tells us? Should only long-term loans be amortized? They are still both financial liabilities, which involve contractual obligation to pay. So what is the matter here? Great article Silvia . I have a question regarding issue number 4..we have provided loan to subsidiary at zero coupon but at an Interset rate of 15% p.a compounded quarterly with no repayment schedule.. if I assume the loan repayble on a longer time then how should I calculate it’s fair value.. assume the loan amount of 100 and interest accrued amoun 16.thanks..
Mi question is what is the reference of the accounting treatment by the subsidiary. Regards!! Hi Karla, just in short – there is indirect reference – you cannot treat the difference of CU 13 616 as a revenue because it does not meet the definition of neither revenue, nor income (remember – contributions from shareholders are excluded from revenues). In the absence of direct guidance, you need to apply the principles set out in the conceptual framework. S.
thanks for the interesting article. 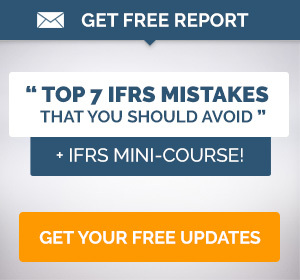 It solves all doubts related to IFRS 9. Just one thing I need to understand, that we have loan agreement in place with the proper interest rate. And agreement states that loan is repayable after a term of 10 years or as demanded by the management. How shall we treat this case? will it be amortized as per IFRS 9? 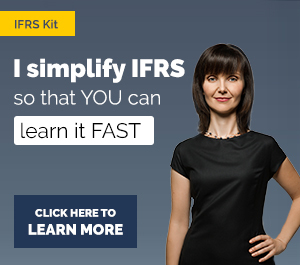 Is IFRS 9 applicable to intercompany trade debtors? Is IFRS 9 applicable to the company loan to it’s foreign branch office? Hi Silvia, would like to check with you, are loans for related parties not in a group relationship/holding-subsidiary relationship considered as intercompany loans? Yes, some of them – as soon as the relationship meets the related party definition as per IAS 24. However, careful, because not all loans with related parties are eliminated – it depends on the type of relationship and the accounting method used. Thank you for the lesson. It is very useful to me. Hi both, thanks this is very helpful. Can I ask why if the the payment is demanded in the future it is a liability and not a loan? Where would this be accounted for? In other creditors? Not in loans? Which part of IFRS deals with this? Thanks. I am confused because I thought all loans require payment in the future, so how can you differentiate between a loan and another liability such as a creditor when money is transferred between parents and subsidiaries? Many thanks. if a payment is demanded in a future, or in other words – there is an obligation to deliver another financial instrument or cash, then by definition you have a financial liability. Loan taken is one type of a financial liability – so I would say you should show it among liabilities with the appropriate title. Now, why other creditors? I don’t get that point. Please clarify what you are referring to. S.
Thanks very much for your reply!!! I think I got confused because you said liability not loan, and a liability can also be a creditor. I was wondering what the classification would be for cash transferred from a parent to a subsidiary if there is no loan agreement and there are no set repayment terms. what makes the balance a loan? why can’t it be a creditor? Thanks. Regarding an interest free loan given by the Parent, if the loan is provided on a draw down basis, meaning the subsidiary is only liable to pay the principal to the extent the facility is used. If the facility has a fixed repayment date, would we then have to do the equity and liability split every single time a withdrawal is made from the facility considering that if the same facility was provided at arm’s length, then the loan would attract interest on the withdrawn balance?